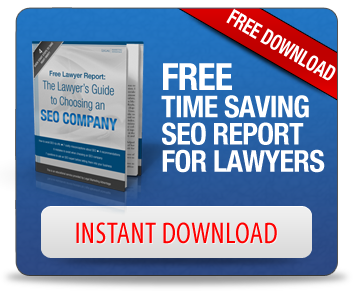 The world of legal SEO is constantly changing. What got you to the #1 search ranking on Google one day might lead to a penalization the next if the search giant launches a particularly egregious update. However, there are certain things that your law firm can do to limit your exposure, ensuring that you’re executing healthy search engine optimization strategies in the new year and beyond. We just brought you word of common Facebook marketing misconceptions, so we thought we’d go the other way and share the knowledge gleaned from an article about SEO truths. The one thing the author stresses above all else is to look to conversion rather than rank. Have the partners at your law firm been pulling out their hair because they can’t quite reach that number one ranking that they believe would bring in clients by the droves? A number one ranking for your given practice area and geographic locale would be nice, but it’s not the most critical barometer of success. You should instead analyze how many people click on your website following a search and then take the further step of calling you up or filling out a claim form. There’s always a possibility that those firms ranked above you have put out a shoddy website that causes clients to look elsewhere. Focus on putting together a high-quality web platform and your conversion should improve even if you’re not ranked #1. Think about it: it’s much more important to be the last website visited than the first one. The author also emphasizes the importance of data. With the tools at your disposal, your law firm doesn’t have to be groping blindly in the dark in the hopes of alighting upon a successful legal marketing strategy. All sorts of data is at your fingertips, and you should be using this to look at trends as they relate to clients coming to your firm. You can find out what practice area draws the greatest number of clients, what ads work and don’t work, and what social platforms and search engines produce the best results. Knowledge of these things allows you to change your strategies accordingly. Having a social presence, the author argues, is akin to efforts in the past to accumulate backlinks. Nowadays, links only really count for something if they’re acquired naturally and they’re from a relevant source. That’s why having great content that people actually want to share is so important. There’s perhaps no better way to get more people invested in your firm than by having an intricate social media presence. If you interact with people by offering insights, tips, and unique takes on legal concepts, people will flock to your firm. Links will build, and search engines will see this engagement and reward you accordingly with better rankings. There’s far more to learn, so be sure to click the link to learn more.